If you’re a parent or educator, then this book is for you. 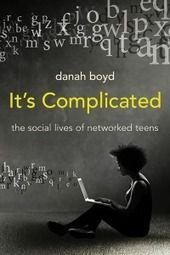 Danah Boyd debunks many of the popular myths that parents, teachers and adults often believe and perpetuate about the relationship teens have with technology, the internet and social networking sites. Ms Boyd explains in detail why and how teens engage with technology and the internet, pervasive myths regarding the appropriateness of these mediums, and both the benefits and risks thereof. Her constant references to interviews with teenagers across America ensures that the content is relevant and eye-opening. Coming from a country where crime is a huge issue and public transport is extremely limited, I was particularly interested in what Ms Boyd had to say about the effect mobility and safety concerns have had on the use of technology in teen’s lives. The section on bullying and the use of social media as a tool for teens to cry out for help also resonated with me. Today’s adults are quick to blame technology for so many of the negative things that happen in society but we fail to realize that technology is just an enabler and not an end in itself. We also fail to recognize that not so many generations ago, our forefathers once touted the book as ‘evil’ too. The advent of new and uncertain technologies will always result in resistance, but Ms Boyd encourages adults to focus on the positive aspects of this increased visibility, while remaining vigilant of the potential risks. As an author who writes for the young adult market and uses social media extensively to reach my audience, and as a parent, I found this book extremely enlightening and useful and would highly recommend it.